Accra, Ghana - After a rib cracking delivery of the state of #Ghcomedy in March, DKB and his #GHcomedy team are back to stage. This time they're bringing the 'April fools' edition of Accra’s premium monthly comedy express show at the Grand Casamora Hotel, East Legon, this Saturday 2nd April 7pm. What better way to relieve yourself from the stress in the passing month than starting the new month of April with laughter. This is why it is held first Saturday of every month. With their expertise in wittiness and satire, you can be rest assured it will be a fun filled night. 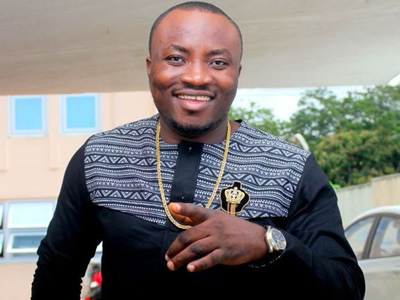 Comedians to look out for on Saturday to serve a hilarious dish of humor are Foster, O.B, Khemikal,Jacinta, Lekzy, James brown, the comedy king himself DKB and others. Tickets affordably priced at Gh25 and it entitles you to a free can of sensational Giant malt drink. Hotlines for tickets are 0276-121212 or 0243-938408. Comedy Express is organized by Ecstacy entertainment with sponsorship by Giant malt and media support from Atlantis radio, Hitz fm, GHone, TV3 and Viasat1.